A year ago yesterday, I broke the story about one of the most exciting Mexican restaurants in recent years to open in the greater Los Angeles area, Burritos La Palma, the lone American outpost of a Mexican burrito chain based in Zacatecas. The mythical status of northern Mexican burritos—which are actually tacos, sometimes referred to as tacos de harina or tacos norteños (northern tacos)—finally shifted from hearsay to blissful reality wrapped in a handmade flour tortilla. These are the style of slender burrito found in states like Nuevo León, Sonora, Chihuahua, and Coahuila: a delicious regional guisado rolled into a flour tortilla, a sleek contrast to those bloated bags of slop found in San Diego, San Francisco, and at Mexican-American joints around the country. And now these addictive burritos are going mobile with their first food truck in Santa Ana. They did a successful test run this last week, slinging delicious burritos filled with beef birria, shredded beef in a green salsa, chicharron, refried beans, and pork in an adobo marinade. 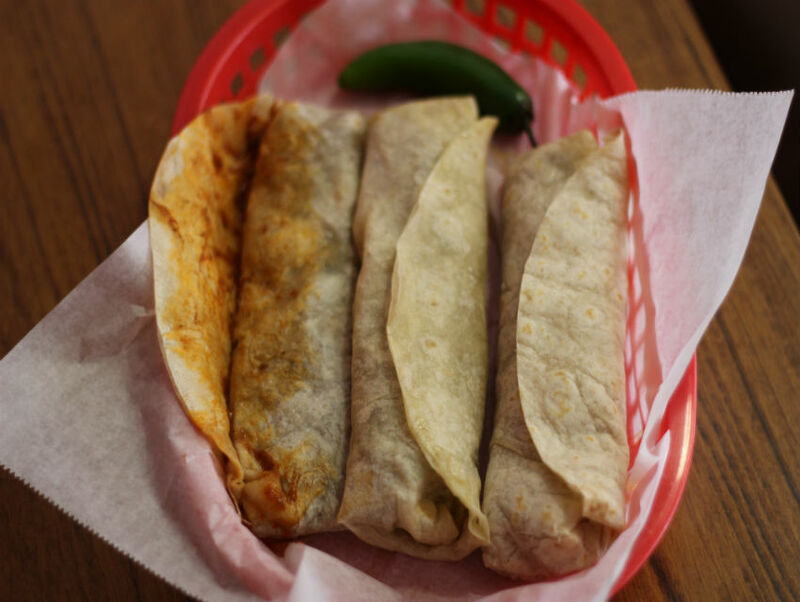 For those looking for a bigger taste, the platillo especial drops two of their savory beef birria burritos, wetted down with a chile and pork salsa and melted asadero cheese on the plate. But Orange County? That’s still too far. Well, every sensible Angeleno should run down to the Burritos La Palma and buy up as many burritos as you can to encourage the Bañuelos Lugo family to park a truck up here in L.A. That’s a proposition we can all agree on.